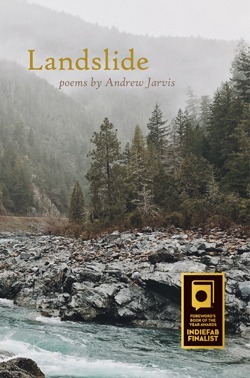 Andrew Jarvis’ Landslide commits now and ever to a future where ruins—the human predicament—might squish in bogs until waterways bear melons and dead seabirds revive sacredness, the bottom and top of the same landscape and slide, without distraction of cliché. Landslide is a wonderful read—lyrical as the miracle of waking up alive every morning. While reading Landslide by Andrew Jarvis, I felt as if Charon himself was ferrying me from this world to the next and back again. Each stop on the journey vibrates with color, scent, and emotion—the sea air of Puget Sound, the blare of screech owls, the arachnid queen resting on her web. Jarvis’ poetry urges us to “learn to crawl within the clouds” by showing us what it is to be fully alive in the landscapes of both loss and wonder. These poems are an immersion in arresting imagination and condensed language. They are like dreams or meditations, in that while cohering around their subject, they unfold in consistently surprising and deep-spiraling ways. True to title, this earthy book has tumultuous tones, like landslides, that heave together darkness and light. 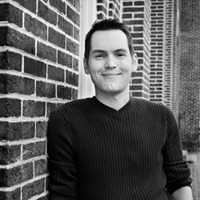 Andrew Jarvis explores our relationship with nature, honoring the land wherein ancestors—human and spiritual—are eulogized . . . Landslide is, above all, a series of invocations to the land that feeds and sustains us, absorbing history, digesting grief, and exhorting devotion. Jarvis constantly connects the concerns of life and memory, celebrating a world so lamentably beyond the ken of contemporary electronic culture it’s like a lost or foreign language, but one that needs to be relearned.